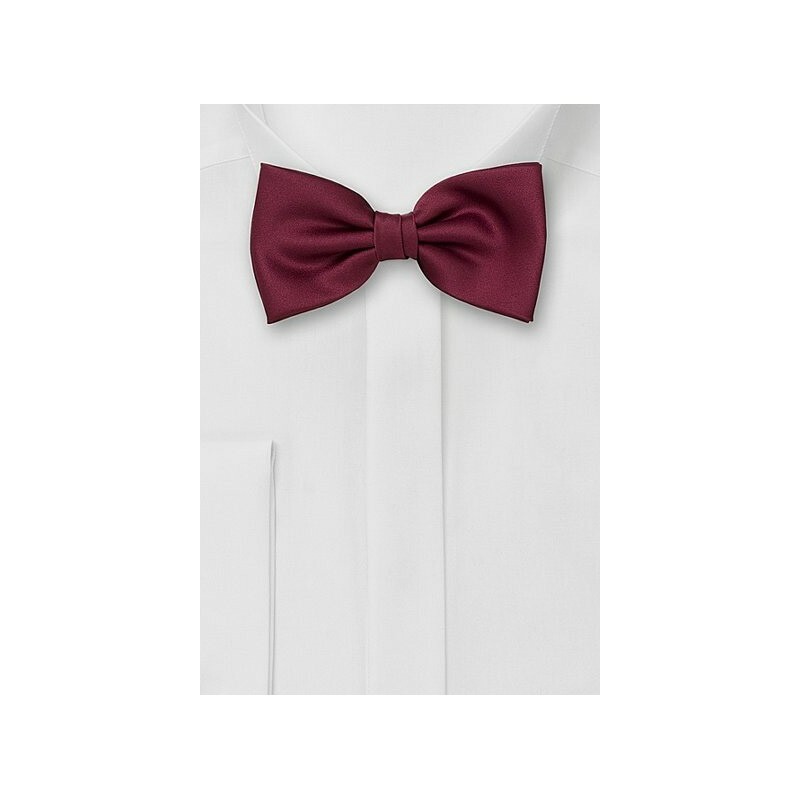 This deep burgundy red bowtie was made especially for boys ages 1-10. Because the length adjusts to fit most collars, these kids bow ties suit a wide range of ages and heights. For taller/old kids and adults please find the matching men's bow ties below. 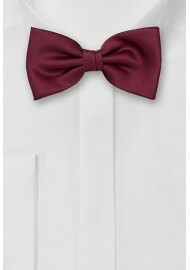 This burgundy red is also available as pocket squares and all neckties. Made from satin finish microfiber.